Daniel Jacobs is now a two-time boxing middleweight champion, as he won the IBF Middleweight Title on Oct. 27 with a win over Sergiy Derevyanchenko at The Hulu Theather at Madison Square Garden in New York City. The opening round of the fight was quiet until the closing seconds when Jacobs fired a flurry of shots, mainly focused on the body, that forced Derevyanchenko to go down right before the bell. Jacobs continued to go after the body but Derevyanchenko, however, got his revenge by rocking Jacobs late in the second, though Jacobs managed to not get knocked down. After a close third round that saw Jacobs act cautiously more than normal, Derevyachenko worked over the “Miracle Man” in the fourth until each man rocked the other before the bell. Derevyachenko used Jacobs’ focus on body shots against him in the fifth. 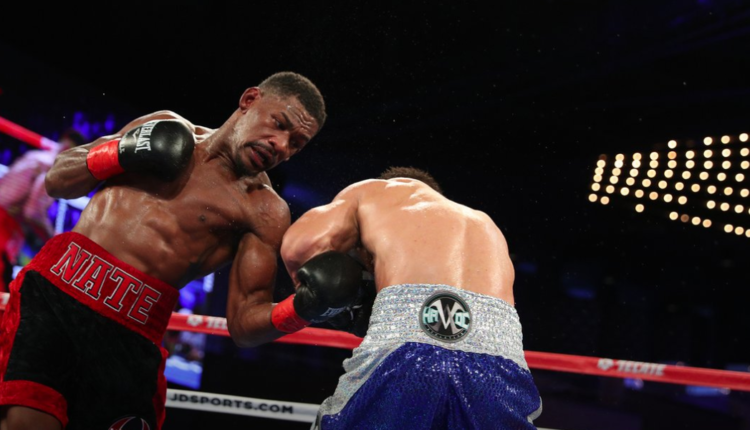 Jacobs took back control over the next couple of rounds, successfully working the Ukranian-born fighter on the inside, even when Jacobs’ back was on the ropes. 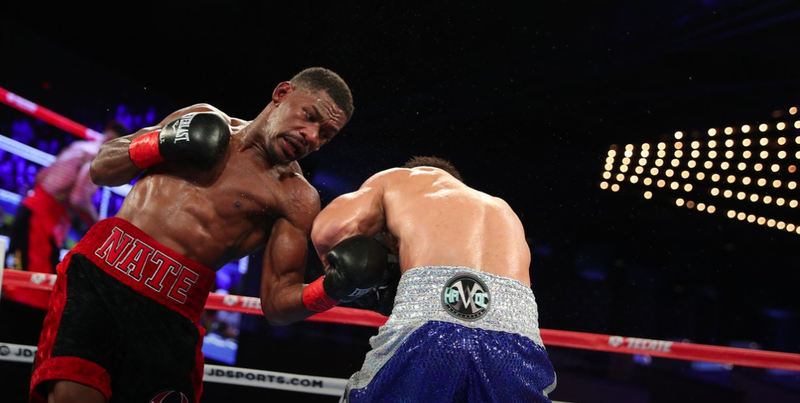 Despite a brief second wind in the ninth, Derevyanchenko’s gas tanked appeared to run out with Jacobs taking back the fight over the next couple of rounds. Derevyachenko did land several moments, with a couple of praised exchanges in the championship rounds. While one judge gave the bout to Derevyanchenko 114-113, the other two judges saw it 115-112 in Jacobs’ favor, giving him the IBF title. Now, with so much talent in the middleweight division, Jacobs is focused on a future bout with WBA/WBC champion Canelo Alvarez. “We absolutely want Canelo,” Jacobs said. “That’s the fight the fans want to see. For round-by-round results of the main event, click here. In the co-main event of the evening, Alberto Machado retained the WBA (Regular) Super Featherweight Title with a first-round knockout of Yuandale Evans. And Heather Hardy claimed the vacant WBO Female Featherweight Championship with a unanimous decision win over rival Shelly Vincent.